The Fish and Game Commission (FGC) formulates policy for guidance of the Department of Fish and Game, regulates aspects of commercial fishing, oversees the establishment—and regulates the use—of wildlife areas and ecological reserves, and determines the terms and conditions under which permits and licenses are issued by the department. The commission has a complicated, and at times contentious, relationship with the department, upon which it relies for research and guidance, while providing an appeals process for department decisions. The history of the Fish and Game Commission is intertwined with the Department of Fish and Game. Their roots stretch back to state legislation passed in the mid-1800s. An 1851 law protected the property rights of people planting oysters, and the next year the first game law was enacted to protect elk, antelope, deer, quail, and some ducks for 12 counties six months out of the year. Salmon runs also received some protection. Game laws were expanded in 1854 to include the entire state, but the real statewide reach didn’t begin until 1860 when Chinese and Mongolians were prohibited from catching fish in state waters unless they paid a monthly $4 license fee. That regulation was put in place two years after the state passed a law prohibiting Chinese and Mongolian immigration and one year after Chinese were banned from attending San Francisco public schools. Trout was established as a seasonal catch in 1861. The commission’s forerunner, the Board of Fish Commissioners, was created in 1870 and is considered the nation’s first wildlife agency. It oversaw the use of fish ladders at state dams to allow for natural migration. The commission’s authority was extended to game animals eight years later. Although the first two game wardens were hired in 1871 for the San Francisco Bay and Lake Tahoe area, it wasn’t until 1883 that the Bureau of Patrol and Law Enforcement was added. Two years later, the state’s primary fish and game laws were established. By 1901, the commission employed 50 men to enforce newly passed fish and game laws and six years later it was collecting money from fines and licenses for its Fish and Game Preservation Fund. The scope of its duties broadened over the years, and the Board of Fish Commissioners was aptly renamed the Fish and Game Commission in 1909. The commission established an elaborate administrative structure and when it was absorbed into the Department of Natural Resources in 1927 as the Division of Fish and Game it uniquely maintained its own governing body not under the direct control of its parent. A new Fish and Game Code was enacted by the Legislature in 1933 and four years later the commission was expanded from three members to five. Congress amped up federal participation in wildlife restoration with passage of the Pittman-Robertson Wildlife Restoration Act in 1937, which provided funds to the states in exchange for adherence to its provisions. In 1940, the Fish and Game Code was amended to allow six-year staggered terms for each of the organization’s commissioners, whose appointments were made by the governor and confirmed by the Senate. Around the same time, the commission sought a more efficient way to manage the use of marine shell and anadromous fish, and formed the Pacific Marine Fisheries Commission in 1945. It was also given the authority to impose fishing and hunting regulations. In efforts to raise funds for the newly expanded portion of its responsibilities, the Wildlife Conservation Board was formed in 1947, to establish the capital acquisition and development program for conservation and recreational uses of wildlife resources. When the Division of Fish and Game became a bona fide department in 1951, the foundational structure of the organization was overhauled to include five western regional offices and the bureaus of Game Conservation, Inland Fisheries, Patrol and Marine Research each became full branches. The federal Fish and Wildlife Coordination Act in 1958 led to expanded department and commission activities by requiring full consideration of fish and wildlife in joint state and federal projects. As a result, the Water Projects Branch was created the next year to manage the impact water quality and land and water development was having on wildlife resources. In 1961, the Department of Fish and Game and the commission became components of the new State Resources Agency and became intimately involved in the Sacramento-San Joaquin Delta when the Davis-Dolwig Act declared that fish and wildlife resources were to be considered as part of the State Water Project’s delivery of its water south. The California Fish and Wildlife Plan became the first statewide master plan in the U.S. with a focus on fish and wildlife. It laid out a five-year blueprint for the department and its planning efforts, beginning in 1966. The California Endangered Species Act of 1970 presaged a similar federal law by three years and required the department to inventory the state’s threatened fish and wildlife and develop criteria for rare and endangered species. The California Environmental Quality Act also called on the department to prepare environmental reports on its projects and programs, and the Water Projects Branch was renamed the Environmental Services Branch. The department and commission then began overseeing both land and water projects. In 1971, the commission first declared that 43 species of animals were threatened and endangered. The next year it designated 345 miles within 17 streams as the heart of a new wild trout program. The five-member Fish and Game Commission is appointed by the governor, subject to approval by the state Senate, and is led by a commission president it elects and an executive director it hires. The commission members, who are not full-time state employees, are generally involved in private enterprise but have an expertise in wildlife-related areas. 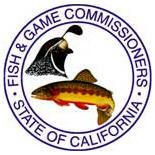 The Fish and Game Code outlines approximately 200 powers and duties of the commission granted by the Legislature. Chief among them are regulatory powers concerning the “taking” of birds, mammals, fish, mollusks, crustaceans, amphibians and reptiles. The code’s statutes do not extend to the taking of fish, mollusks, crustaceans, kelp or other aquatic plants for commercial purposes. The commission lists or delists species as threatened or endangered based on the California Endangered Species Act. It also establishes a list of exotic species prohibited from importation into the state, determines the conditions under which the Department of Fish and Game issues permits and licenses, and revokes or suspends commercial and sport licenses and permits of those convicted of violating Fish and Game laws and regulations. The commission has adopted, over the years, a wide range of policies based on the Fish and Game Code. Subjects include: commercial fishing and packing industries, salmon, emerging fisheries, striped bass, trout, commercial use of native reptiles, deer management, wild pigs, elk, kelp, the Salton Sea, national forests, marine protected areas, wilderness areas, land use planning, endangered and threatened species and prospecting on Fish and Game lands. The commission sets dates for the opening and closing of hunting and fishing seasons, including abolishment. It also establishes bag, possession and size limits, prescribes the means of taking any species, and establishes territorial limits for taking species. The commission has extensive oversight responsibilities concerning the Department of Fish and Game. The department submits all items on its meeting agenda to the commission at least 25 days before consideration, and provides adequate staff support to the commission for execution of its mandated responsibilities. Commission members regularly review implementation by the department of the commission’s policies, including an annual report by the department on its programs. The department reports include reviews of budget, legislation, environmental mitigation and department-controlled lands. Environmental reports by the department must include major proposed land, water and marine projects that may have an impact on fish, wildlife habitat or environmentally sensitive habitat. Reports on controlled lands include the use of revenue from their lease or use, and any impacts such use may have on wildlife. The commission handles appeals of department revocations of sport or commercial licenses or permits. After review by its legal counsel, the commission can hear an appeal itself or refer it to a hearing officer (an administrative law judge, a former commission executive director, a member of the bar or a commissioner). The department keeps the commission informed of any legislation it plans to sponsor, including an analysis of each bill for consistency with commission policy. Any request for the department to take a public position on legislation must first be considered by the commission. The Fish and Game Commission is a line-item in the Department of Fish and Game budget, which is a point of contention for those who advocate for a more independent commission. The commission receives about half of its budget from the state general fund and most of the rest from the Fish and Game Preservation Fund. A small portion of its $1.4 million in 2012-2013 came from sales of environmental license plates. The preservation fund is a repository for taxes, license and permit fees, fines and other forms of revenue related to environmental activities in the state. The fund collected $87.4 million in 2011-12. Just 18 days into his first term as Fish and Game Commissioner, Michael Sustos was fired by the man who hired him, lame-duck Governor Arnold Schwarzenegger. Sustos had sat in on only one board session since his September 2010 appointment, but was immediately ensnarled in the raging debate over implementation of the Marine Life Protection Act (MLPA), the plan to establish restricted areas of commercial and recreational fishing along the 1,100-mile coastline. Sustos’ predecessor, Don Benninghoven, had failed to be confirmed by the state Senate after sportfishing and commercial fishing groups objected to him. Benninghoven was League of California Cities executive director for 26 years and a member of the blue ribbon committee that drew up the MLPA. He was accused of having a conflict of interest because as commissioner he would be voting to approve plans that he had participating in drafting, and of being part of an environmental cabal led by Schwarzenegger. “Benninghoven was a plant by the radical environmentalists,” said Commissioner Daniel Richards, a Schwarzenegger campaign contributor and appointee turned apoplectic foe who would later become commission chairman. Richards was much happier when the governor appointed Sustos as Benninghoven’s replacement: “He sounded like one of the most reasonable people I’ve ever met.” Richards was impressed with the way Sustos grilled Department of Fishing and Game staff at his only commission meeting about why they considered state fisheries at risk and in need of protection. Richards had become disenchanted with Schwarzenegger even before the Benninghoven appointment. Benninghoven was a replacement for Cindy Gustafson, who many believe was forced out by the governor for not supporting broader fishing closures. Back in the 1960s, a prevalent attitude among state fish and game agencies was “if you can’t catch it and eat it, the hell with it.” It was an era before endangered species lists and an understanding of how delicate ecosystems really were. Much of the conservation movement was dedicated to preserving habitats for the purpose of commercial or recreational exploitation in some form. This shift has engendered a conflict between environmentalists and sportsmen that plays itself out in many forums, including the state Fish and Game Commission. When commissioner Daniel Richards (who later became its president) went out of state to hunt cougars, which are protected in California, his glee at bagging a big one and posing with the dead animal for a photo was in sharp contrast to the consternation expressed by the Humane Society of the United States. The commission, once a bastion of support for sportsmen, is now a battleground. Governor Arnold Schwarzenegger went through a series of appointments to the commission in an attempt to stock it with supporters for his Marine Protected Areas (MPAs) that designated restricted fishing zones along the 1,100-mile coastline. The MPAs were assaulted from all sides for a variety of reasons, but it incurred the wrath of many sportsmen as a capitulation to environmental interests. Some environmentalists also opposed the MPAs, which are meant to protect fish and their environment, for allowing intolerable pollution threats from commercial interests (like Big Oil) and only haphazardly controlling overfishing. Commercial interests railed about overregulation by big government. Commercial fishing interests saw doom and gloom for their industry and sportsmen like Richards perceive their interests were being ignored. Schwarzenegger went through a series of commission appointments in an attempt to gain support for his initiative, which eventually prevailed. Other issues continue to split the board. Fights over striped bass fishing in the Sacramento-San Joaquin Delta, rainbow trout stocking in lakes, hunting restrictions, hatchery development and enforcement of the Endangered Species Act often pit what would seem like natural allies—against encroaching urban, commercial and industrial forces—against each other. The Fish and Game Commission works closely with the Department of Fish and Game, but they don’t always see eye to eye on the issues. The department has wrestled over the years with formulating a policy for dealing with public and private fish hatcheries. It produced and stocked over 42 million trout, steelhead, and salmon in lakes and streams at its 21 fish hatchery facilities in 2009. Sport and commercial fishing interests fear that regulations could curtail their activities. Environmentalists claim that the impact of stocking these hatcheries has a devastating effect on native fish, amphibians and other wildlife and the department. Scientists at the National Marine Fisheries Service maintain that hatchery stocking was an important factor in the collapse of salmon runs that led to a complete shutdown of commercial salmon fishing in California and Oregon for two years. Under the pressure of lawsuits, the department produced an Environmental Impact Report (EIR) in January 2010 to address these concerns. The Center for Biological Diversity, one of the organizations that had filed suit, found the EIR lacking. “The California Department of Fish and Game has utterly failed to mitigate for the devastating impacts of stocking hatchery fish on native fish and wildlife like Chinook salmon, mountain yellow-legged frogs, and long-toed salamanders,” said Noah Greenwald, endangered species program director at the center. He demanded a new EIR. The department proceeded to implement its EIR in stages, but was roundly criticized by not only environmentalists, but water districts, property owners, recreational fishing enthusiasts, markets and restaurants selling fresh fish, golf course owners, outdoor and sporting goods stores and just about anybody who had an interest in the issue. It forged ahead and presented a proposal to the Fish and Game Commission in December 2011, where it was promptly shot down. The commission unanimously rejected requirements that hatcheries perform biological assessments before acquiring permits. “My direction is rejection, and I’m not directing them (DFG) to come back,” said commissioner Daniel Richards. Yet, he did expect the department to return in the future with a new version of proposed regulations and hoped they would take notice of the commission’s resistance to a permitting process like the one rejected. Parties on all sides agree on one thing: the issue is far from resolved. In April 2011, a federal judge approved settlement of a 2008 lawsuit by farming interests led by the Coalition for a Sustainable Delta against the Department of Fish and Game that was expected to result in a major expansion of striped bass fishing. The coalition alleged that the non-native striped bass preyed on native fish and was responsible for declines in salmon and delta smelt. Environmentalists said this was a canard pushed by big water interests and was meant to divert attention from the real causes of salmon and smelt declines. Anglers feared the loss of a favored sport fish. As a response to the lawsuit, the Department of Fish and Game proposed an increase in striped bass fishing, in order to keep the numbers of “stripers” down and, eventually, eliminate the species from the San-Joaquin Delta, altogether. The proposal triples daily catch limits and restricts the size of the fish anglers could catch. Those who disapproved of the plan, argued that the striped bass, Chinook salmon, and Delta smelt have commingled in the river system for over 200 years and that alternate methods could be used to reduce the threat. The department took its court-approved proposal for new regulations to the commission and in February 2012 it was unanimously rejected, setting the stage for further litigation. The commission maintained that its current regulations already met the mandate of the court. Anglers gave the vote a standing ovation. Department of Fish and Game Director Chuck Bonham had argued strongly for his department’s proposal before the vote. “We believe a yes vote is justified. Striped bass predation is not the only factor or even the most significant factor in the decline of salmon and other listed species – but any angler who fishes for stripers sees how they predate on salmon,” he said. The California Legislature passed a law in 2010 requiring the Natural Resources Agency to develop a strategic vision for the Department of Fish and Game and the Fish and Game Commission by July 2012. A 2006 report by the Legislative Analyst’s Office found a “structural deficit within the [Fish and Game Preservation Fund] that has built up over many years.” The analyst’s office also found a department that was improperly attempting to restructure itself without input from, or communication to, the Legislature. The strategic vision is expected to address overlapping roles the department shares with the federal government, long-term funding, exploration of partnerships in both the public and private sectors, a re-evaluation of fish and wildlife resource management, a reordering of priorities and re-thinking of policy positions. Competing stakeholders will be weighing in on the process, including hunters and fishermen, landowners, non-consumptive recreational users, environmentalists, educators, labor representatives, commercial fishing interests, conservationists, scientists and other government agencies. A draft interim report was released for public comment in December 2011. The world’s oceans are overfished and polluted. While there have been longstanding efforts in California to protect, preserve and rehabilitate the land, the ocean off its 1,100-mile coast has been largely ignored. The Marine Life Protection Act of 1999 (MLPA) attempted to address that situation by ordering a reexamination of the marine protected areas that had been designated in a piecemeal fashion over the years, and development of a coherent plan based on scientific guidelines. Two attempts to implement the MLPA failed between 1999 and 2004, followed by a new joint effort by the Natural Resources Agency, the Department of Fish and Game and the Resource Legacy Fund Foundation. That last effort resulted in a plan adopted by the department in 2007 that divided the coast into five regions, each with its own protected areas. The Central Coast plan for the area between Pigeon Point and Point Conception was implemented that year, followed by the North Coast (Alder Creek to Pigeon Point) in 2010. The South Coast plan for Point Conception to the Mexican border was inaugurated on January 1, 2012, establishing a patchwork of 49 new marine sanctuaries covering 350 square miles along 15% of the Southern California coast. MPAs provide three levels of protection: State Marine Reserves, in which no fishing is allowed; State Marine Parks, where commercial fishing is prohibited but recreational fishing is allowed; and State Marine Conservation Areas, where limited commercial and recreational fishing is allowed. Some fishing groups see them as intrusive, confusing and a threat to commercial fishing. Some environmentalists see them as inadequate and a sellout to commercial interests. Problems off the California coast have intensified in the 10 years since the Marine Life Protection Act was passed, and while supporters of the new marine zones acknowledge that they aren’t perfectly crafted, they see it as an important step in reversing the destructive trend. The Surfrider Foundation, an active participant in development of the marine protected areas, said that “while it’s obvious that not everyone is happy with the outcome, the process was thorough and involved a diverse group of representatives, including commercial and recreational fishermen, conservation groups, surfers, state agency staff, scientists and concerned citizens, etc.” Surfrider had held its own community forums around Southern California to talk about the MLPA. Other supportive environmental groups include Santa Barbara Channelkeeper, Orange County Coastkeeper and Santa Monica Baykeeper, all of whom pledge to volunteer assistance in enforcing restrictions in the zones. A lawsuit challenging the legality of actions to implement the Marine Life Protection Act failed in Superior Court in October 2011 but was appealed. Opponents of the South Coast MPA labeled it an unscientifically derived corporate sellout that will do little to solve problems in the ocean and may, instead, exacerbate them. The MLPA blue-ribbon task force that developed the marine plans was chaired by Susan Golding, former San Diego mayor and current CEO of the Golding Group, who sits on the boards of 1st Pacific Bank, Avinir Pharmaceuticals and Titan Industries. Others on the five-member panel include Bill Anderson, president and CEO at the nation’s largest owner and operator of waterfront marinas, and Catherine Reheis-Boyd, president of the Western States Petroleum Association, who has repeatedly called for weaker environmental regulations and new oil drilling off the California coast. The Resource Legacy Fund Foundation, which channeled private funds into the state initiative that created the protected marine areas, received its largest donation, $8.2 million to fund state hearings, from the David and Lucille Packard Foundation. The Packard Foundation has been a supporter of studies in support of the controversial Peripheral Canal that environmentalists fear will wreak havoc in the Sacramento-San Joaquin Delta if it is ever built. Even the most optimistic supporters of the MPAs recognize that there isn’t nearly enough law enforcement staff to ensure compliance. Fewer than 30 game wardens from the Department of Fish and Game patrol the Southern California waters in three offshore vessels and 10 smaller shore-based boats. Environmental groups are gearing up to keep an eye on water sanctuaries, and fishermen are gearing up to keep an eye on the environmentalists. Confrontations loom and an already thinly-stretched Department of Fish and Game will be hard-pressed to lend much assistance. That was in 1990, and not much has changed. Theoretically, the 5-member commission formulates policy and the department implements it. In reality, it’s a complicated relationship with overlapping and contradictory functions that sometimes engender conflict. For instance, in December 2011 the commission rejected the department’s proposed rule changes to require biological assessments by hatcheries and fisheries before the stocking and growing of fish. The rejection was unanimous and not entirely cordial. “My direction is rejection, and I’m not directing them (DFG) to come back,” Commissioner Dan Richards said. At issue were the costs and inconvenience, disputed by both sides, of complying with a new permitting process. Is there a better way to manage the state’s wildlife resources? The commission is run by part-time panel members who have other, mostly high-powered jobs, and a small staff that relies on the department for analysis and recommendations. It has been accused of bias toward one stakeholder interest or another, bad communication with the Legislature and department, and contentious relations with the public it serves. A study by the Legislative Analyst’s Office in 2011 found that the regulatory authority of fish and wildlife commissions in Florida, Texas and Washington is integrated into agency operations, unlike in California. The commissions appoint executive directors, approve land purchases and have oversight over budgetary proposals. Washington’s commission even issues policy statements with specific directions for its wildlife department. The commissioners are paid a small stipend and all generally have full-time jobs that make large demands on their time. They are not chosen based on any particular expertise although some seats have traditionally been accorded to specific shareholder interests like “the hunting seat.” This vagueness has, from time to time, resulted in deep suspicions about the commission’s impartial stewardship. It was a common perception during Governor George Deukmejian’s administration in the 1980s that the board favored hunters, farmers and big business. The Little Hoover Commission, in its 1990 report, suggested that broad representation should include scientists, environmentalists, ranchers, developers and sportsmen. A report in 2009 by former Fish and Game Commission Executive Director Robert Treanor suggested that the board be expanded to accommodate this kind of diversity. The relationship between the department and commission has changed over time, a reflection of shifting societal needs, economic realities, scientific advances and ever changing environments. The Legislature has responded by expanding the commission’s regulatory and management authority. For instance, the commission was originally responsible for the regulation of recreational fishing and hunting; the Legislature had jurisdiction over commercial fishing. Since then, most of the commercial fishing jurisdiction has shifted to the commission. The commission has more than 200 powers and duties delineated in the Fish and Game Code, the most significant being the power to set limits on sport take and possession of birds, mammals, fish, amphibians and reptiles. It sets the dates for hunting and fishing seasons, bag and size limits and methods and areas of takes. The commission also provides an appeals process for those unhappy with decisions by the department. An elaborate reorganization proposal of the executive branch by Governor Arnold Schwarzenegger in 2005 and one by the Brown administration in 2011 did not see any necessity to change the fundamental relationship between the department and commission. Schwarzenegger’s California Performance Review made no mention of either agency, and Brown’s limited proposals to elimination of six department advisory groups. That’s part of an ongoing process of regeneration that eschews a process described by critics as “blowing up the boxes” in favor of tweaking the model and, perhaps, doing a little thinking outside the box. Bob Hattoy, 2007. Hattoy was a gay rights, AIDS and environmental activist who worked in Bill Clinton’s White House as an aide from 1993–1999. He was later known as an outspoken critic of Clinton (while still on staff) for the president’s backing off his support of gays in the military, and his predecessor, George H.W. Bush, for his policies on AIDS. Hattoy addressed the 1992 Democratic National Convention shortly after being diagnosed with AIDS and said: “I don't want to die. But I don't want to live in an America where the president sees me as the enemy. I can face dying because of a disease. But not because of politics.” He died from AIDS–related causes one month after his election as Fish and Game Commission president. Richard T. Thieriot, 1998 – 1999. Thieriot was president and chief executive officer of The Chronicle Publishing Company from 1977-1993 as well as editor and publisher of the San Francisco Chronicle. The California Fish and Game Commission took a different tack when it selected social entrepreneur Michael Sutton as its president in early 2013. The avid conservationist replaced Daniel Richards, who resigned after posting on the Internet a controversial picture of himself gleefully holding a dead mountain lion the hunting enthusiast had just shot in Idaho. Sutton received a Bachelor of Arts degree in wildlife biology in 1978 from Utah State University. He studied marine biology in a graduate program at the University of Sydney, Australia, between 1978 and 1980. Sutton began work as a park ranger in Yosemite, Yellowstone, Biscayne, and Virgin Islands National Parks and Death Valley National Monument for the National Park Service while in school. He was there from 1977-1982. Sutton was a special agent with the U.S. Fish and Wildlife Service from 1982-1988 before attending George Washington University Law School, where he earned a Juris Doctor in 1992 in international and natural resources law. Sutton started law school about the same time he joined the World Wildlife Fund (WWF) in Washington, D.C. He worked there for a decade, becoming a vice president responsible for the U.S. Land and Wildlife Program in 1992. He helped launch the WWF’s Endangered Seas Campaign in 1995 and formed a partnership the next year with Unilever to co-found the Marine Stewardship Council. The council’s goal was to harness market forces in support of sustainable fisheries. Sutton moved to California in 1998 and joined the David and Lucile Packard Foundation Conservation & Science Program in Los Altos as a program officer. In 2004, Sutton joined the Monterey Bay Aquarium as vice president and founded the Center for the Future of the Oceans. He was there for eight years, his tenure overlapping with his chairmanship of the Wild Salmon Center board of directors. Sutton was appointed to the Fish and Game Commission in May 2007 by Governor Arnold Schwarzenegger and was reappointed to a six-year term in March 2009. He has been vice president of the Pacific Flyaway for the National Audubon Society since 2012, drawing conflict-of-interest charges when he was appointed Fish and Game president from critics who think the commission favors conservationists over hunters, sportsmen and business interests. Sutton is an author and lecturer in conservation law on the summer faculty at the Vermont Law School. He has lectured on marine conservation policy at Harvard, Yale, Columbia, Stanford, Tufts, George Washington University and the University of Rhode Island. He has served as a senior advisor to the U.S. Secretary of Commerce and the Secretary of State on marine fishery issues, sitting on two federal advisory committees. Sutton is married to Hilary LeFort and has two children, Matthew and Callie. Hunter, sportsman and 30-year veteran of the real estate industry, Daniel W. Richards was elected Fish and Game Commission president by his fellow commissioners in 2012 and immediately became the focus of intense scrutiny after he went cougar hunting in Idaho, bagged a big cat and sent a picture of himself posing with his dead prey to an online publication. It is legal to hunt mountain lions in Idaho, but not in California. He was ousted in August 2012. Richards was born and raised in Clarksburg, West Virginia, and is a lifelong outdoorsman who had his first gun, a “.410 single shot,” at age 10. He started out shooting rabbits and squirrels as a youth, graduated to deer as he got older, and takes pride in the Royal elk and cougar he bagged later in life. Richards graduated from West Virginia University with a bachelor of science degree in journalism in 1974. Richards began his real estate management career in the early 1980s working for the Vanguard Company and founded Stephen Daniels Commercial Brokerage, Inc. in 1983. In 2010, his company became affiliated with Coldwell Banker and was rechristened Coldwell Banker Commercial Inland Empire. The company specializes in land sales and acquisitions. It also leases, sells, manages and develops office and industrial properties in Southern California. Richards, a Republican, joined more than 130 hopefuls—including politicians Cruz Bustamante, Tom McClintock and Peter Camejo; celebrities Arnold Schwarzenegger, Mary Carey and Gary Coleman; publishers Larry Flynt and Arianna Huffington; and businessman Peter Ueberroth—in the campaign to replace Governor Gray Davis in the recall election of 2003. Arnold Schwarzenegger won the election and Richards became a political and financial supporter of the new governor. Richards has wide-ranging financial interests that include multiple development companies. One of those, Colonies Partners LP (of which he is co-managing partner), proved controversial. The company embarked upon development of a major commercial-residential project in San Bernardino County in 1997, but ran afoul of the county over a flood-control easement. The developers sued the county and were in and out of court as advantage shifted back and forth. Just about the time it looked like the county might prevail in court, the county Board of Supervisors agreed to settle the suit and pay the developers $77 million. The settlement was put on hold when word of its terms were leaked, but another court decision favorable to the developers brought everyone back to the negotiating table and a $102 million settlement was approved. Board of Supervisors Chairman Bill Postmus and fellow supervisors Paul Biane and Gary Ovitt voted for the settlement in a 3-2 decision and shortly afterward Postmus won election as county assessor. Postmus resigned his post in 2009 after investigators found methamphetamine in his home while searching for evidence of alleged mismanagement as assessor. As dark clouds gathered over Postmus, investigators announced in 2010 that he had been charged with conspiracy and accepting a bribe as part of the Colonies settlement negotiations. Five unnamed, unindicted co-conspirators were alluded to in a criminal complaint and were later identified as including Colonies co-managing partners Jeff Burum and Richards. 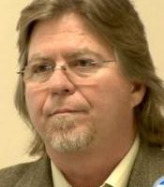 Postmus pleaded guilty to conspiracy and bribery in March 2011. Two months later, a new 29-count indictment was filed that named four defendants, including Burum but not Richards, in matters related to the $102 million settlement. Richards received some criticism when it was found that he had not included his holdings in Colonies Partners on his disclosure forms during vetting for his appointment to the Fish and Game Commission in 2008. Richards has not been charged in any matters concerning Colonies Partners. Richards was chairman of the San Bernardino Fish and Game Commission at the time of his appointment to the state commission by Governor Schwarzenegger, but had a falling out with him over the state Fish and Game Commission’s implementation of the Marine Life Protection Act (MLPA), the plan to establish restricted areas of commercial and recreational fishing along the 1,100-mile coastline. Richards is a member of the National Rifle Association and the Society for the Conservation of Bighorn Sheep. He married his wife, Judy (a retired school teacher), in 1973 and has a married daughter, Kendra Leigh Richards-Miller.